This idyllic gem, something of a well-kept secret despite the fact that its entrance is well-signed and just a few miles off of I-40, midway between Knoxville and Sevierville, may be my new favorite go-to hiking spot. 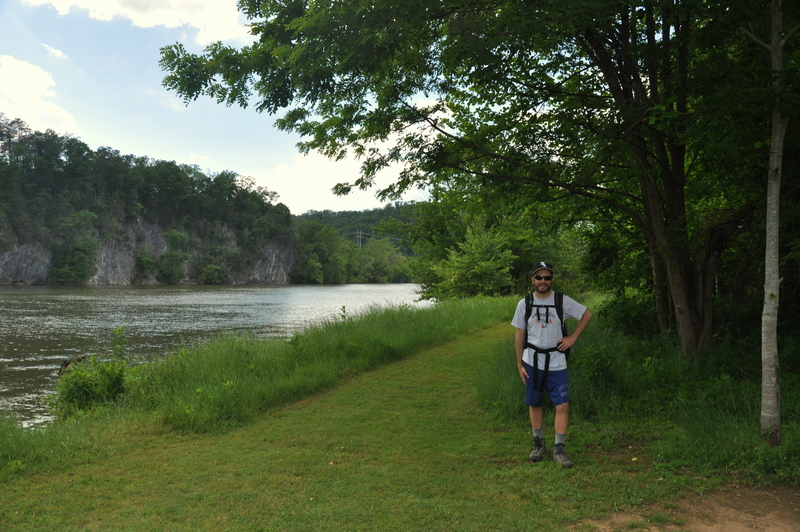 Almost eight miles of trails traverse 416 acres of pastoral land, dotted with wildflowers and butting against the French Broad River just upstream from where it empties into the Tennessee River. Elevation gain is minimal, but the Upland Trail climbs just enough to get your lungs pumping. 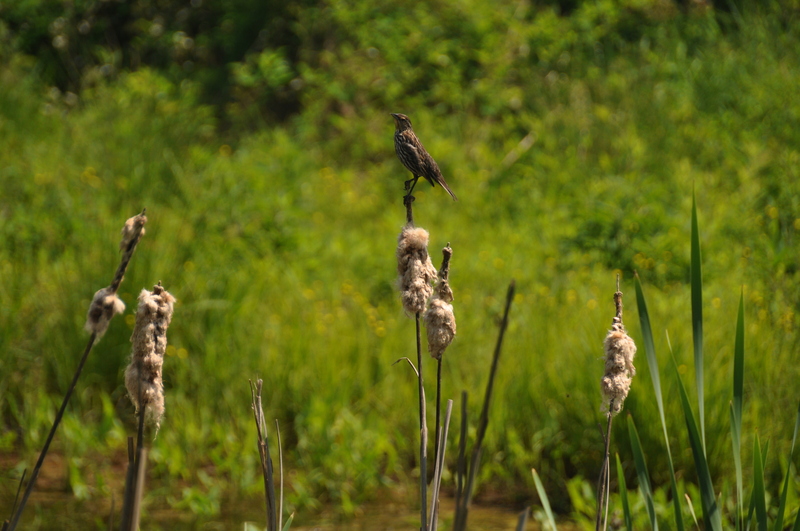 The seven islands of the title are small patches of greenery in the middle of the river, inaccessible to hikers and acting as nesting grounds for various bird species, over 150 of which have been spotted at the park. 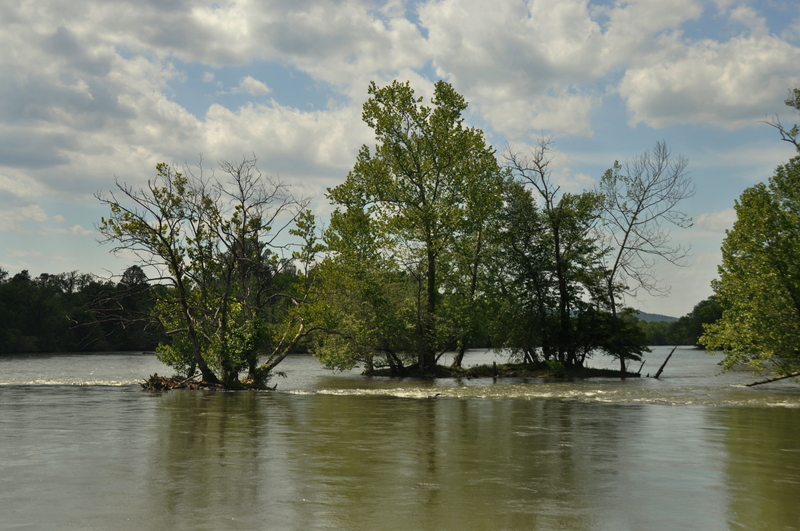 I only counted four islands during my May visit, but the river was high enough to have almost overflowed its banks, so it’s possible that some smaller islands were temporarily submerged. To get there, follow the signs from exit 402 on I-40. Parking and entry are free, but facilities are limited and there is no camping or overnight parking. 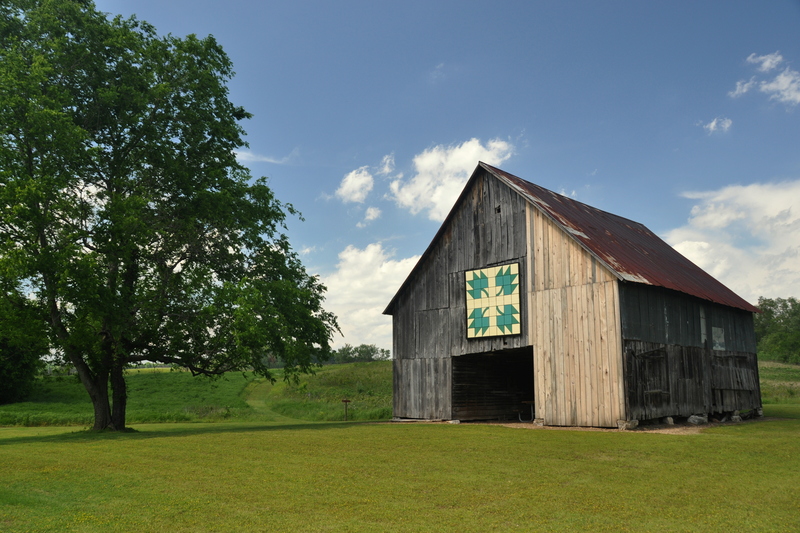 One paved trail, the Kelly Lane Greenway, leads to a historic barn and is perfect for families with strollers or wheelchairs. 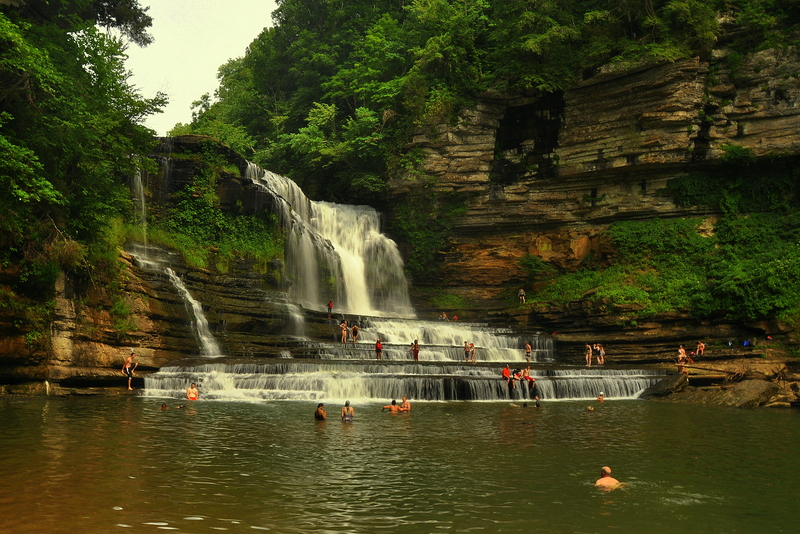 Although I consider myself a hearty explorer, well-versed in the trails and green spaces of the land, I had never heard of Cummins Falls until a former coworker posted pics of her visit last summer. Color me impressed. 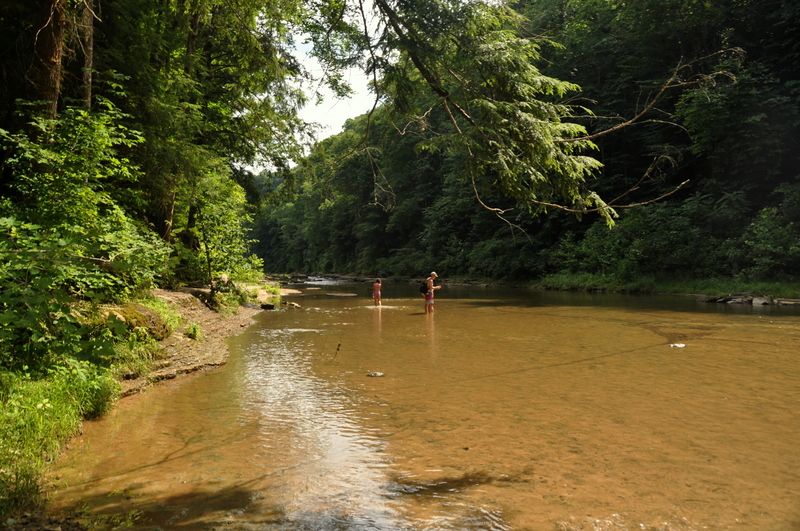 The Blackburn Fork State Scenic River, which I had also never heard of, is part of the Cumberland River Watershed, closer to Nashville than to Knoxville. Several million gallons of water flow over the main and tertiary lips of these glorious 75-foot cascades each minute, and the large natural swimming hole at the base of the falls is one of the best I have ever visited. 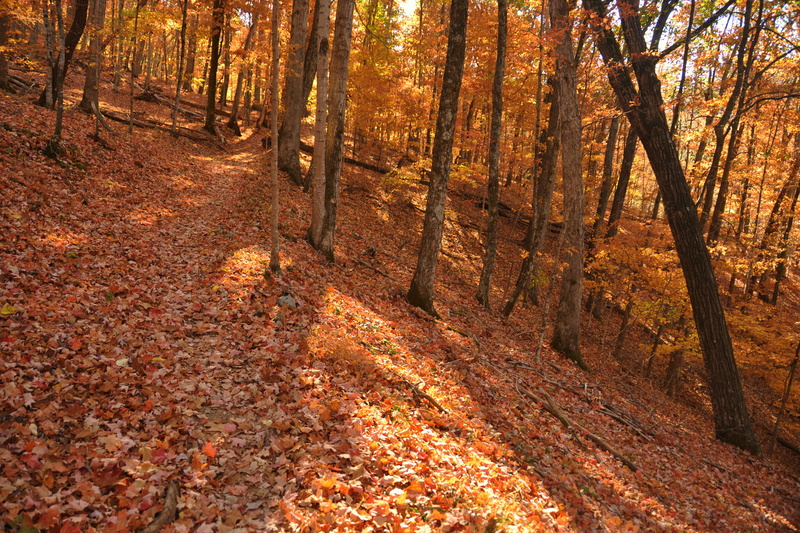 The state park is approximately ten miles north of Exit 280, near Cookeville. Unlike most state parks, this one closes early, and rangers ask that you leave the falls area by 5 p.m. to be out of the park by 6. I visited on a non-holiday Tuesday and simply couldn’t believe how many cars were in the parking lot. Plan accordingly if you don’t like crowds. Camping and food are available at Old Mill Camp, across from the park entrance. It was actually this past January when I last visited Panther Creek. 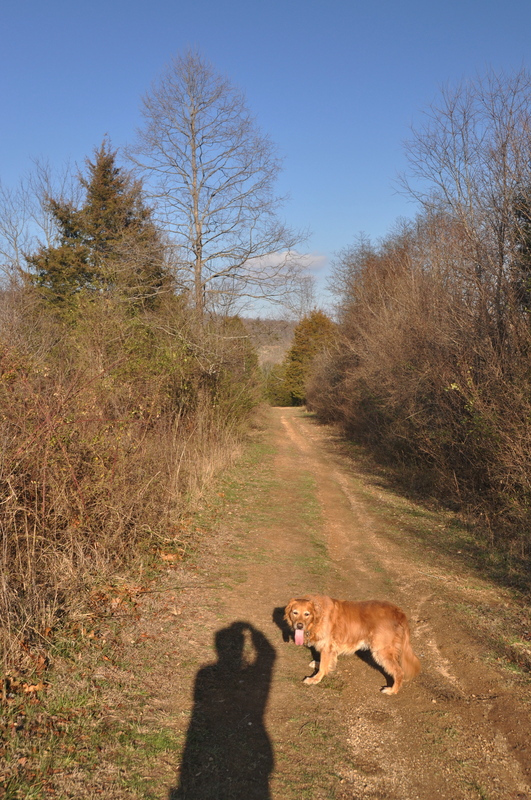 Molly the Dog accompanied me on that mild, snow-free day. Over 30 miles of hiking trails (some open to bicyclists and equestrians as well; check the signs) wind through this lush peninsular park on the southern shores of Cherokee Lake, near Morristown. During the summer months, the public swimming pool likely gets more use than the trails themselves. The Panther Path Trail, a one-mile loop, is perfect for beginning hikers, and I always add the 1.2-mile Road to Recycling Trail to this loop; families can read the placards and learn about local flora and fauna. The Seven Sinkholes Trail – which is exactly what it sounds like – is a great add-on hike. My favorite though, for the way it winds along the coves of the lake, is the more strenuous Maple Arch Hike. 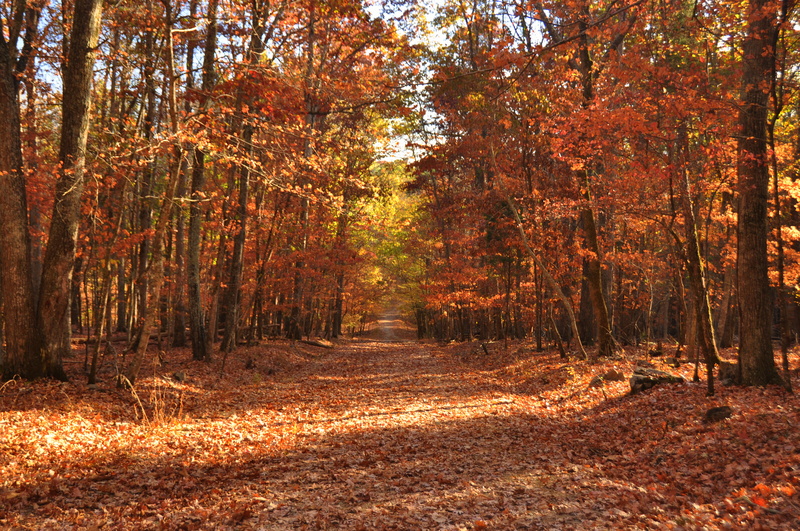 These 3.2 miles pass through the park’s densest grove of maple trees, and early November, when most of the leaves have fallen, resulting in a literal blanket of red beneath your feet, is the best time to go. Before exiting the park, be sure to drive (or hike, via the Hunt Knob Trail) to the scenic overlook, the highest vehicle access point in the park. Views extend over Cherokee Lake to the Cumberland Mountains, where Tennessee becomes Kentucky. From I-81, take Exit 8 (not Exit 4, though signs on 81 suggest otherwise) and follow the highway north to U.S. 11E. Take Andrew Johnson Highway through town and turn right at Panther Creek Road. The park entrance sign to your right, a few miles after turning, is unmissable; boat launch access is another mile down the road. 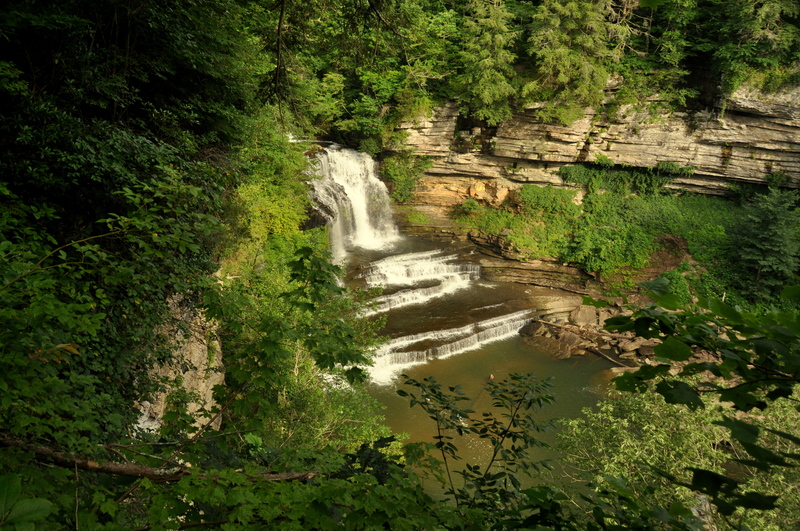 As with other Tennessee state parks, entrance is free and facilities are basic, although camping is popular. Welcome to the most-visited national park in the U.S! Each year some 10 million hikers, photographers, naturalists, and general tourists visit the southernmost national park in the Appalachians. This local sub-ridge of mountains, the Smokies, so named for the blue-ish haze given off by the oxygen-producing trees, includes Clingman’s Dome, at 6,643 feet the highest point in Tennessee – and along the 2,200-mile Appalachian Trail as well. There are enough trails, waterfalls, and historic buildings to fill up several years worth of park visits. And although the maximum elevation pales in comparison to the Rockies and the Sierras, you can still find some grueling hikes. 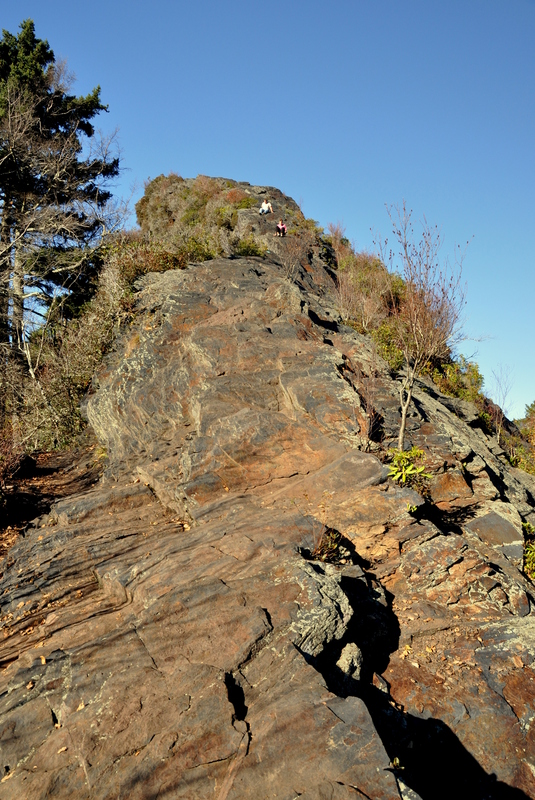 My favorite is to the rocky outcropping known as Chimney Tops, which was heavily scarred as a result of last November’s Gatlinburg wildfires. Although the fires surely cleared the way for new growth, it may be years before the area fully recovers. 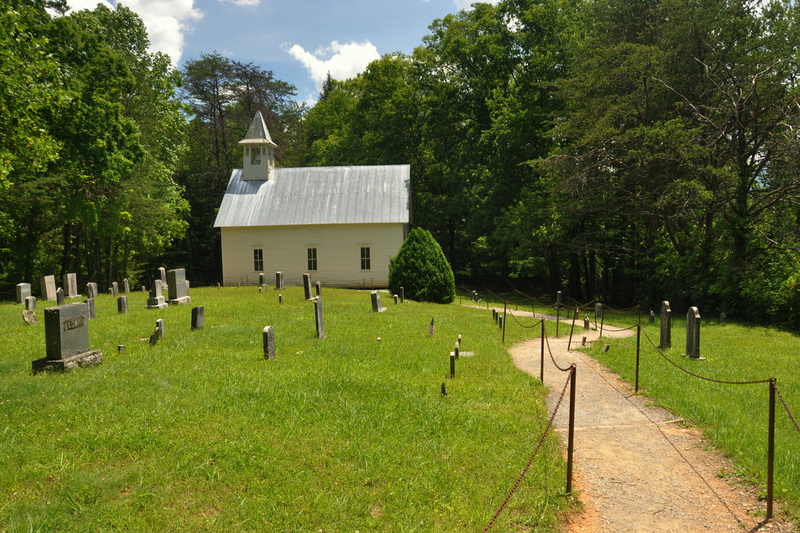 My most recent visit to the park was spent entirely in Cades Cove, a verdant valley in the western quadrant of the park. Here, a well-traveled touring road passes preserved one-room churches, wildflower meadows, historic mills, and – more often than not – foraging wildlife. 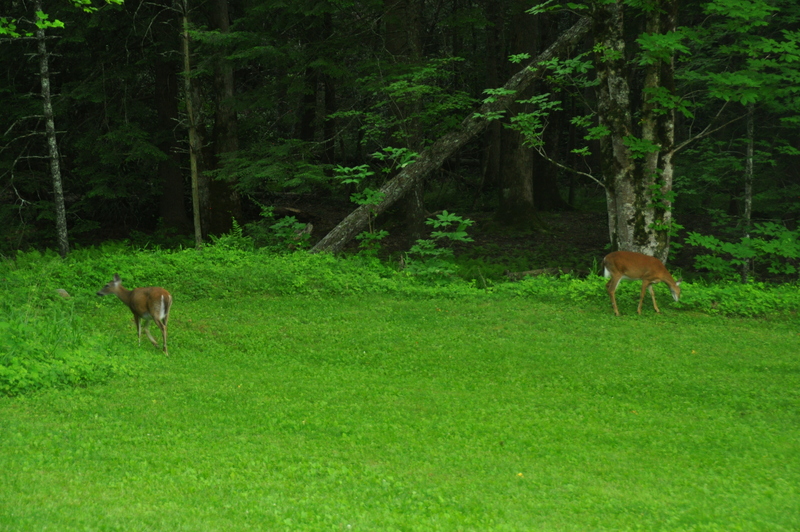 I saw a black bear, a (harmless) Tennessee black snake, a pair of wild turkeys, and dozens of deer. 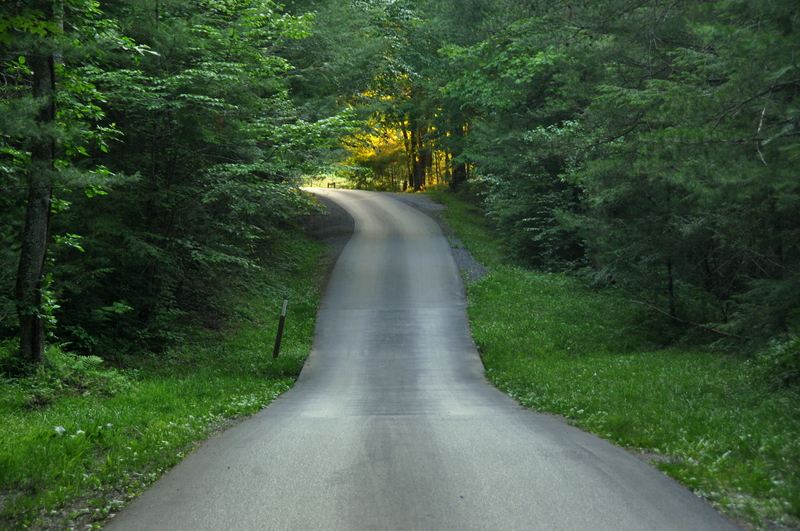 Although the one-lane scenic road is just 11 miles in length, it took me an entire day to drive it. I stopped to read every roadside marker, paid my respects at the peaceful cemeteries adjacent to each church, and took hundreds of photos. I also spent three hours hiking from Cades Cove to Abrams Falls, which, despite a height of just 20 feet, pack a wallop of force and volume as they tumble over Abrams Creek. Cades Cove, surrounded by mountains clad in fresh pine, came closer to reminded me of Yosemite and the High Sierra than any other place I’ve visited since moving away from California in 2012. A clause in the park’s bylaws ensures that it will forever be open to the public without charging an entrance fee. There are several access points but the most popular is via Parkway 441, a traffic-clogged thoroughfare that passes through busy Sevierville, Pigeon Forge, and Gatlinburg. Wears Valley Road, aka southbound 321, bypasses the Gatlinburg portion of the traffic and serves as a shortcut to Cades Cove. 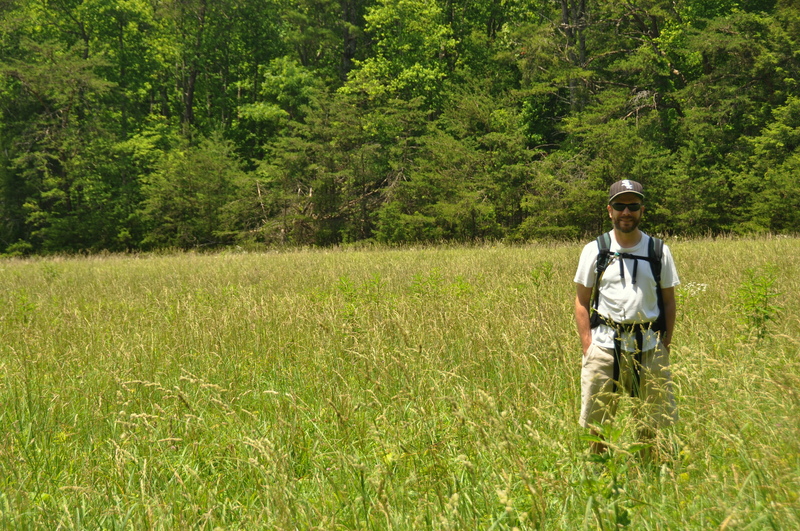 I hope to add more hiking-related posts specific to Tennessee in the months that follow. 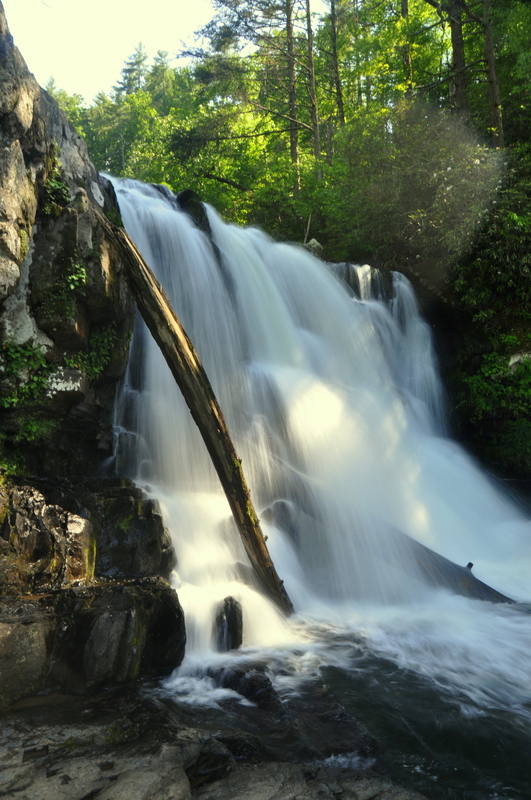 Meanwhile, there are many more parks and trails to explore, such as Fall Creek Falls State Park (south of Cookeville), Cumberland Gap National Historic Park (north of Harrogate), and much, much more of the Great Smoky Mountains. Now go take a hike! Have you been to Horse creek in Greenville? No. I just read up on that area and it looks like there are some prime waterfall hikes around there.